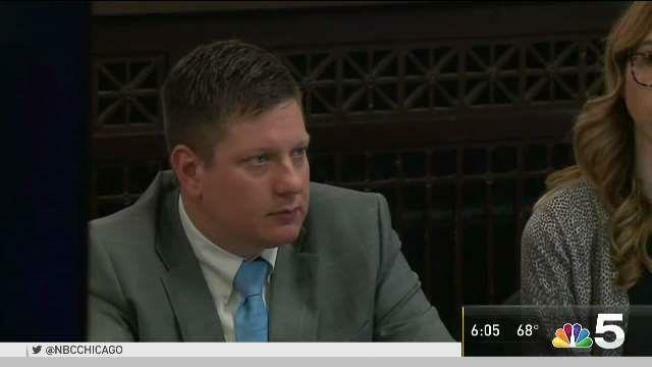 For many, watching Chicago Police Officer Jason Van Dyke empty his weapon, firing 16 shots at 17-year-old Laquan McDonald in October 2014 raised more than just questions. But in the fourth day of defense testimony in Van Dyke's murder trial, a retired CPD weapons instructor testified that officers are trained to do that if reasonable and necessary. "You shoot until the threat is eliminated," said retired officer Nicholas Pappas. "There is no telling what that could be. It's no telling how many rounds it could take to do that." 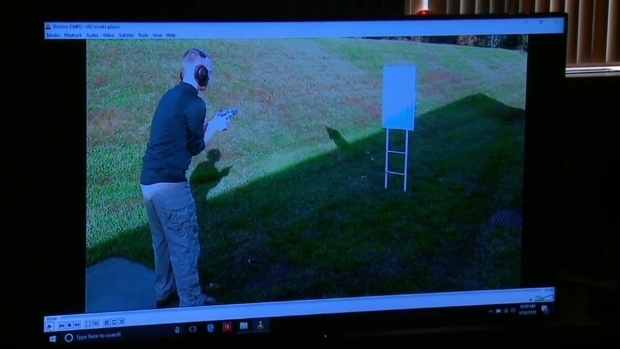 After the shooting, Van Dyke reloaded his weapon, a move the instructor also said was part of the training. "To stand there with an empty weapon is a big problem," Pappas said. But prosecutors pressed Pappas on whether such a shooting should be considered "reasonable or necessary." "This is the deadliest weapon in his arsenal?" Prosecutor Daniel Weiler asked. "And the defendant is taught there could be criminal and civil consequences for the use of that weapon?" Weiler said. "And he is taught to utilize that weapon with restraint?" Weiler said. Defense attorneys have so far presented nearly two dozen witnesses, but have given no indication if Van Dyke himself will take the stand. Attorneys said the previous day that Van Dyke never should have been charged with murder because of an Illinois law that protects peace officers trying to arrest fleeing felons. McDonald’s great uncle said he watched Wednesday as witnesses testified to alleged violent incidents involving McDonald as a juvenile. "It is an unjust ploy to paint Laquan McDonald as the perpetrator," Rev. Marvin Hunter said. "He is a victim. He is the victim in this case. He is not on trial." Dr. Jeremy Stayton, who treated McDonald the night he was shot, said the teen had no blood pressure, no respiration and no pulse. A wound to his pulmonary artery, Stayton said, caused McDonald to lose more than half the blood in his body. "The chances of him surviving are very low in any case," Stayton said, then answering what the chances would have been, "I don’t know if anyone has ever done a paper on it, but I would say less than 1 percent." 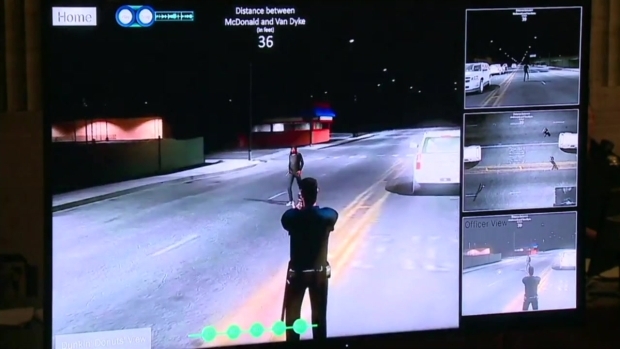 So far in the trial, the jury saw dashcam video of the shooting, graphic autopsy images of the more than a dozen gunshot wounds on the body of McDonald, video recreating the shooting from Van Dyke's point of view and video showing 16 gunshots in under 14 seconds. 12:58 p.m.: Day 4 of defense testimony is complete. Only 3 witneses were called today. No testimony on Friday. Testimony resumes on Monday. 12:56 p.m.: Under cross examination, Pappas is questioned about his general orders (policy) and how he wrote that deadly force should be used only after all other means of disposal have been exhausted and should be a last resort measure. 12:40 p.m.: Pappas: "...(they) shoot until threat eliminated. No telling how how many rounds can take to do that"
11:34 a.m.: First witness today, a neighbor, told the FBI that at 2 a.m. on Oct. 20, she called 911 bcause when she pulled up to her West Side home, a man with dreads and a black hoodie (Laquan) was sitting outside her home she was afraid to get out of her car. But in court, said had no fear at all. 11:28 a.m.: Dr. O’Donnell: ”(Laquan was) Whacked on PCP at the time of his death." 11:19 a.m.: Dr. O’Donnell says PCP can cause users to feel super human strength, feeling they can do anything and causes bizzare behavior. Testifies at 56 nano grams, reactions include euphoria, hallucinations, aggression, and violence. 10:36 a.m.: First witness today, a Chicago woman, testified that at 2am on October 20th, she called 911 because when she pulled up to her west side home, a man w/ dreads and a black hoodie (Laquan) was sitting outside her home she was afraid to get out of her car & walk into her home. 10:23 a.m.: Before day four of defense testimony, court begins with a motion request to allow defense attorneys to play police academy training videos. Judge Gaughan denies the request, but the defense can call the trainers to the stand to testify.